Sandwich Festival | Why Not Manston? Why Not Manston? 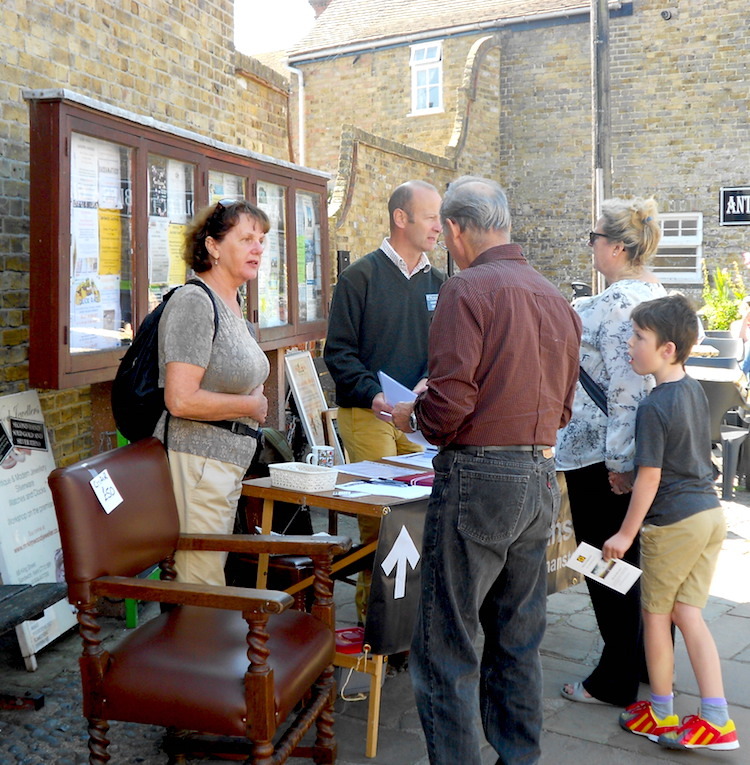 was pleased to have a presence at the very popular Sandwich Festival held over the August Bank Holiday Weekend 2015. The above picture shows our Chairman, Mr Henry Bolton OBE and Membership Secretary, Mrs Lynda Smith at our stall on Saturday 29th August 15, interacting with the public who wished to learn more about the latest situation concerning the re-opening of Manston Airport. Our stall was manned on both the Saturday and Sunday, the weekend being hailed as a great success, with a total of 59 new supporters being signed up over the two days. The interest shown and the support demonstrated by passers by was remarkable and most encouraging. On Sunday 30th August, the stall was ably managed with great success by our Secretary, Mrs Carolyn Illsley and her husband, Geoffrey (also a committee member) and our former Chairman Mr Nicholas Reed and his partner, Brenda. Thanks were expressed to all those that assisted towards the success of the event.